Total Knee Replacement Surgery has been successfully done on 28 January 2019 in Kilinochchi District General Hospital for the first time in history. 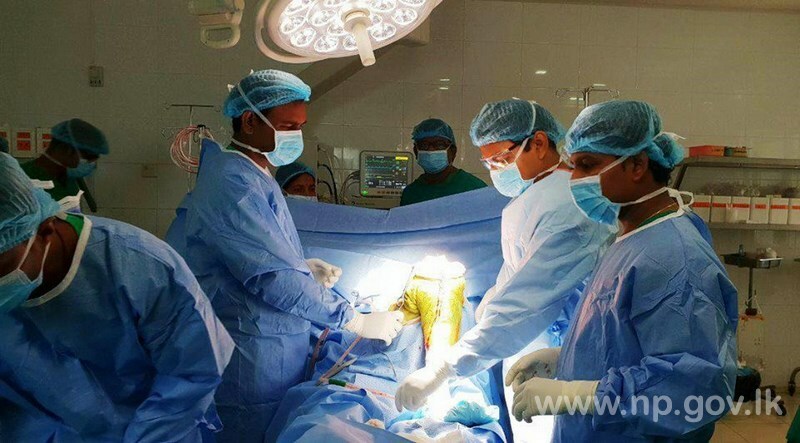 Even though there is no separate Orthopaedic Unit in the hospital, the operation has been successfully carried out with the medical equipment obtained from the Mannar hospital. This is considered a historical achievement for the first time by a dedicated service of doctors, despite many resource shortages. 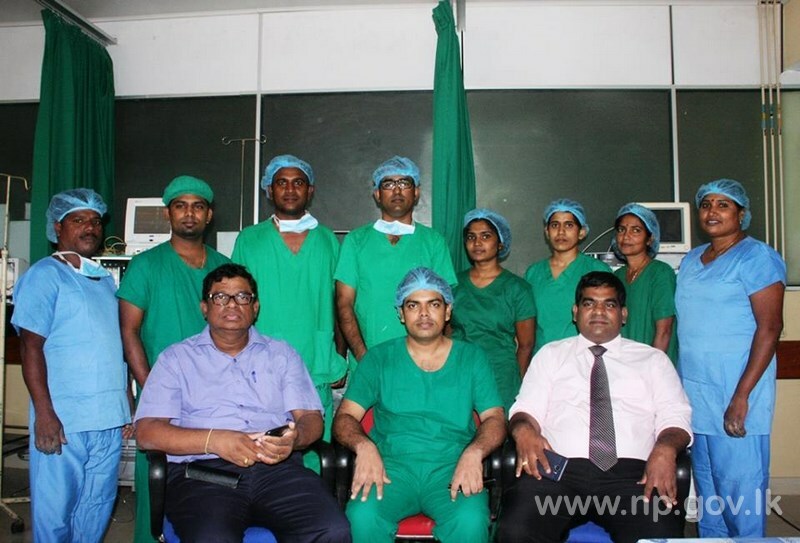 A team of ten members headed by Orthopaedic Surgeon of Kilinochchi GH Dr.S.Sasikaran including senior Anesthesiologist Dr. P.Nageswaran and nurses and technical assistants has successfully made this achievement. This surgery has been done for a 63-year-old man who suffered from arthritis. Director Dr. Kandeepan who is busy in expanding the services of the Kilinochchi hospital has been supporting this achievement with the support of the Central and Provincial Health Ministries and Regional Director of Health Service. It is a massive surgery to be paid for up to 5 lakhs rupees in private hospitals. This surgery was done in a common operation theatre not in a separate theatre for orthopaedic surgery with resource deficiencies. It should be noted that so far, the Total Knee Replacement Surgeries were done in Jaffna Teaching Hospital in the province.